This Vissco product, with its scientific design, helps to maintain the position of the neck to provide muscle relaxation and proper support to the head and neck during sleep. 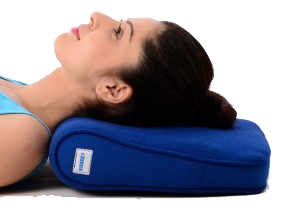 The pillow also allows the extension of the cervical spine and helps maintain normal cervical alignment. Ideal for use in hospitals, nursing homes and clinics where it is used for multiple patients, this pillow can be used for long periods of time as it will not de-shape even after prolonged use.